Conrad has finished his first year of nursing school at CEU (Price, UT). Here are a few pictures from his graduation. Conrad's graduating class. 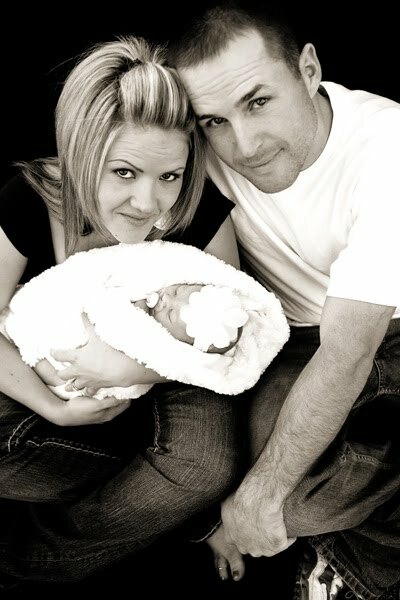 Our friends, Mark and Lachelle! Posing for the camera, of course! I am so proud of my wonderful husband! He has worked so very hard! He has been accepted to Weber, (Roosevelt Campus), for his last year! This means that were are moving from Price to a cute little place in Salem! 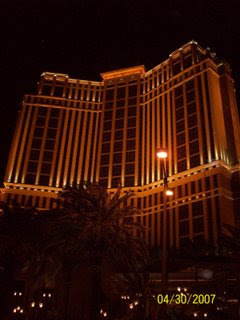 I just returned from a fun weekend in Las Vegas with my parents and my brother, Kory's, family. 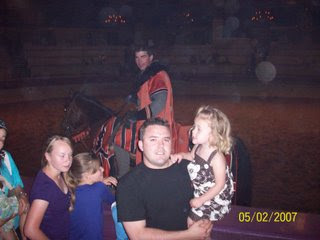 We stayed at the Excalibur hotel--which my niece, Ady, thought was Princess Jasmine's Castle. Here is Ady modeling her crown! This is a little boy that Ady met during her birthday dinner at The Cheesecake Factory (which is now my favorite restaurant)! He would not stop hugging her. It is because she is so darn cute! Ady and her super cute dress! 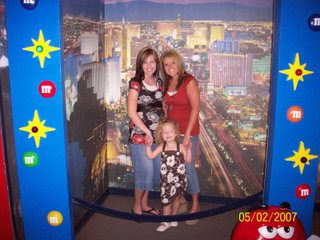 Posing at M&M World with my cute pregnant sister-in-law Ali, and of course Ady! We had so much fun. I wish Conrad could have come but, he was busy studying and taking finals! It was just not the same without him!